The Sanctuary Runners was established in February 2018 by feature writer and broadcaster Graham Clifford with the help of photographer Clare Keogh. Having reported from refugee camps in Northern Africa, travelled across Eastern and Central Europe with Syrian and Iraqi refugees, mainly, at the height of the Migrant Crisis in 2015 and compiled many pieces on Direct Provision over the years Graham felt it was important to create something that allowed Irish people show solidarity with those in asylum seeker accommodation. The Sanctuary Runners group was supported by Cork City Council and in June a team of 200, which included 50 asylum seekers from five different Direct Provision centres in Cork County, took part in the Cork City Marathon – some running the full or half marathon, others ran in relay teams. In the weeks and months leading up to the marathon the Sanctuary Runners trained together, got to know each other and bond. Star athletes such as Lizzie Lee, Rob Heffernan and Gillian O’Sullivan helped with training while Sonia O’Sullivan and Derval O’Rourke added their support. GAA legend Tomás Ó’ Sé even ran in the marathon wearing the Sanctuary Runners’ iconic blue top. Over the course of the training those from the centres grew in confidence. They found the Sanctuary Runners helped with their physical and mental health. They were sleeping better and more positive. Those outside the gates were benefiting too. They learned more about those coming to Ireland looking for sanctuary, about the system in which they resided and the challenges they face. And most importantly they made new friends. We celebrated wildly after the Cork City Marathon as over 40 different nationalities took over a street in Cork City Centre where we organised a barbeque, live music and dancing. And it became clear this initiative had to be repeated and further developed. But we were unsure how we might do this. We’re all volunteers and the Sanctuary Runners do not fundraise. We are adamant that our initiative is about solidarity rather than charity. 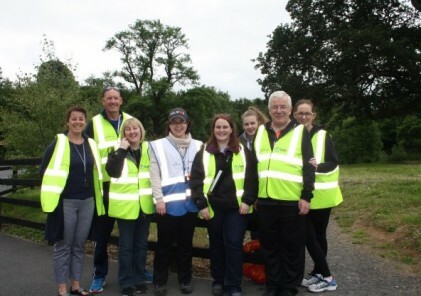 One of our members, Anna Pringle, was involved with the parkrun network in Dublin. 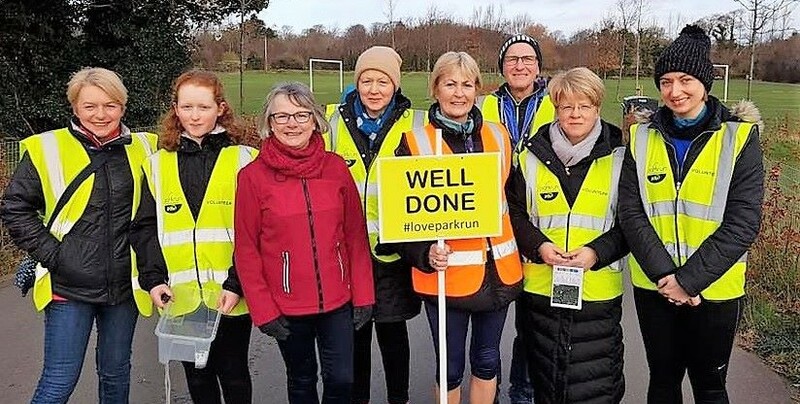 She suggested we meet with parkrun Ireland Country Manager Matt Shields to explain what the Sanctuary Runners are all about and trying to achieve. Matt listened to us and we were delighted when he told us the parkrun family would welcome the Sanctuary Runners with open arms. A path to grow had appeared. From October our runners have been taking part in the Ballincollig parkrun in Cork and the Corkagh parkrun in Dublin. Our hope is to get Sanctuary Runners running in lots more parkruns across the country in the weeks and months to come. After each parkrun we make sure to have hot chocolate for our runners so they can rest and chat. Its on these Saturday mornings that they build friendships and each week we see new faces joining us.